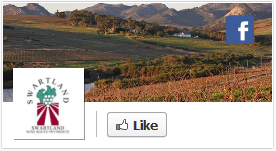 The warm and welcoming Swartland area of the Western Cape encompasses a uniquely diverse geographic region, from the undulating hills of the Paardeberg in the south to the rolling waters of the Berg River in the north. Here lie the charming historic towns of Malmesbury, Piketberg and Porterville, and the twin villages of Riebeek Kasteel and Riebeek West, nestled on the slopes of the looming Kasteelberg. Sweeping wheat fields – golden in summer, mint-green in winter – are punctuated by azure dams on working farms, and sheep and cattle dot the landscape. Huge swathes of natural vegetation burst with fynbos plants – proteas, restios and ericas – and the rich resident birdlife is complemented in spring by migrants, with steppe buzzards and blackshouldered kites common along roadside fenceposts. It’s close enough to get to – yet it’s a perfect place to get away from it all. 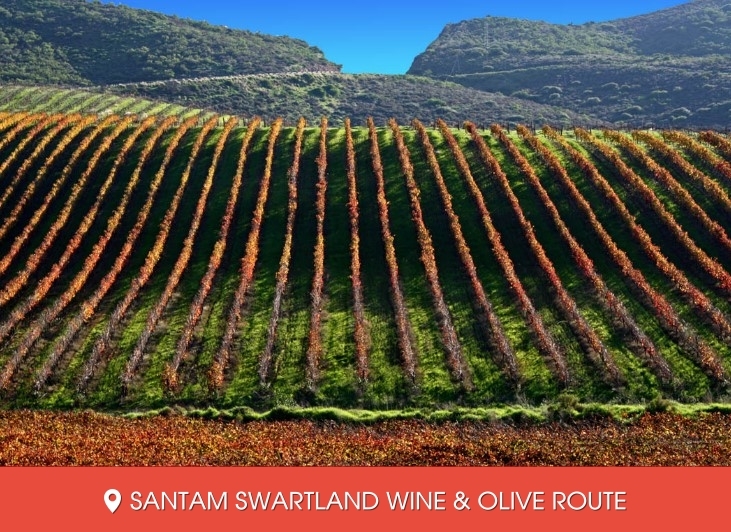 Only an hour’s drive from Cape Town, the Santam Swartland Wine & Olive Route, established in 1986, offers visitors the kind of country comfort and hospitality that quickly sweeps away the stress of city living. This South African wine gem is an ideal day-trip destination from Cape Town.